We live in an incredible era where science-fiction and reality are beginning to merge at an ever increasing pace. 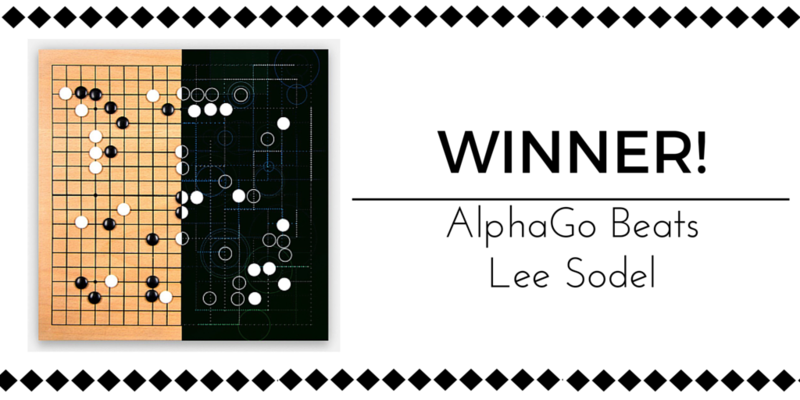 The recent 4-1 victory of AlphaGo over Lee Sodel, the world Go champion, illustrates the extent to which we underestimate the impact of the next generation of Artificial Intelligence (new-AI) . As recently as two months ago, many experts predicted that AlphaGo was years away from beating a world champion. First chess, then Go, one human endeavor after another is being taken over by smart machines. What does this mean for those of us in marketing and sales? How will it change the way we engage with our customers and prospects in the future? It is worth understanding what new-AI has done well. Most of the recent advances in AI have been examples of supervised learning. These are methods where the machine is shown examples of good and bad repeatedly until it learns to discern between the the two. For example, a B2B company trying to figure out the characteristics that make a prospect likely to convert into a customer would use supervised learning by showing hundreds of examples of previously converted prospects. Are there sufficient examples of success? Success events vary from organization to organization. Ideally you would use Closed-Won, but there are cases where “conversion to opportunity” or “meeting setup” is more appropriate. We look for at least 100 examples of past success. Is there a wide variance in performance at the rep level? 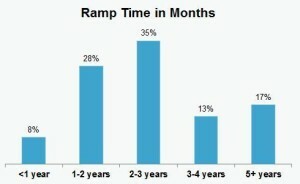 A recent study by the Bridge group showed that the median rep takes >2 years to ramp up. This results in 3-10X difference in performance between the top rep and the median rep. Predictive sales can significantly shorten the time to ramp by keeping new reps focused on attractive prospects. Do marketing and sales aspire to work as a single revenue team? You may not be there yet, but are you at least trying? The greatest impact of predictive marketing & sales is felt in organizations where everyone is focused on Revenue together. When we first started rolling out our predictive applications in 2010, we found that we could usually outperform >50% of reps in an organization. Over time that number has crept up to >90% on the average and >100% in some cases. If you are running an inside sales organization or an SDR team, you should find out how well your current team stacks up against a machine that is keeping track of every event across 20M+ companies and learning from every customer that you have ever acquired. New-AI will not replace your reps or marketers. Instead it will significantly enhance their ability to do the right thing one customer at a time. The AlphaGo moment for marketing and sales has already arrived for most organizations. Make sure yours is ready for it.